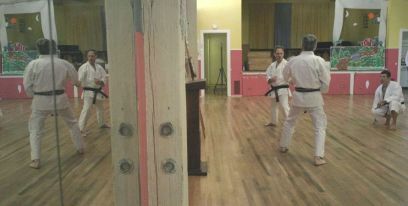 * Traditional Japanese Shotokan style karate-do. * Instruction for men and women, teenagers, adults and seniors. * No contracts / no contact / low fees -- compare for yourself! 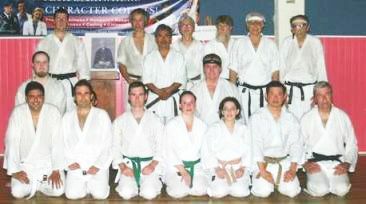 * Chief Instructor George Takahashi. * Visitors and observers are welcome. Kata diagram and kata video web sites added to Web Sites section. 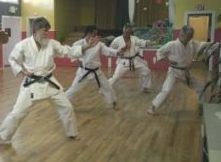 Books are now listed in separate Annotated Shotokan Karate Bibliography section which includes a book search and links to further information about books. We need your feedback on content and format of our web pages with respect to errors, style suggestions, what we should add, etc. Please use the link at the bottom of the page(s) you wish to comment on. If you have machine readable materials you would like added to the pages, please let us know.